To coincide with the younger Homeschool Hangout, the Teen Homeschool Hangout will be Wednesday, September 20 at 1 pm. 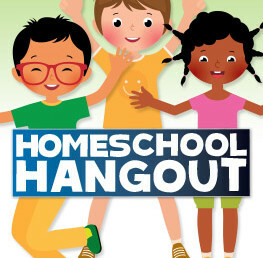 Homeschool Hangout at the North Shelby Library is expanding! Below you will find the links to the upcoming events. Please note: The Teen art club does not start until October. In addition to the Teen and Regular Homeschool hangout, there will also be a Tween Coding Club and TEEN Art Club for homeschoolers. Learn to code with Google CS First! Create and share your own digital stories! Grades 4 – 7. This is an 8 class program with two make-up days in November. Attendance at each class is recommended. Registration required. Register at the link below. http://northshelbylibrary.evanced.info/signup/EventDetails?EventId=5364&backTo=Calendar&startDate=2017/10/01 or by using the calendar on the North Shelby Library website (www.northshelbylibrary.org). Contact Kate at 439-5512 or nsyouth@shelbycounty-al.org for more information.